Small- and medium-sized enterprises (SMEs) exporting from developing countries suffer the brunt of complying with market access conditions. Searching for information on tariffs and non-tariff measures (NTMs), and complying with them, takes time and can be costly. To make market entry rules more transparent, the International Trade Centre (ITC) has redeveloped its online analysis tool Market Access Map, available as 30 June 2012 at www.macmap.org. Users in developing countries and territories can use the tool at no cost. Market Access Map is an interactive analytical web tool which allows exporters, trade support institutions, trade policy makers and academic institutions in developing countries to prioritize and analyse export markets as well as prepare for market access negotiations. The upgraded version of Market Access Map now also provides, among other functions, a database on NTMs; access to extensive time-series data for tariffs and trade, and the ability to download raw data; and information on tariffs applied by 191 countries and faced by 239. The analytical tool continues to provide information on tariff rate quotas, trade remedies, rules of origin for preferential trade agreements, trade flows and bound tariffs of World Trade Organization (WTO) members. Access to information on tariff regimes and NTMs is one of the most crucial issues for market entry for SMEs located in developing countries. 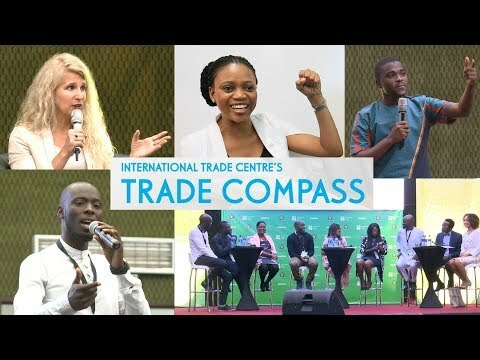 ITC is collecting trade and market access data including official NTMs in coordination with other international organisations such as the World Bank, the United Nations Conference on Trade and Development (UNCTAD) and WTO. In addition, ITC conducts surveys in developing countries, interviewing exporters in-depth about their experiences with NTMs. The upgraded version of Market Access Map is supported financially by the European Commission, the World Bank and ITC Trust Fund donors. Users in developing countries and territories can register for free access to this and ITC’s other market analysis tools at www.intracen.org/marketanalysis.